Tango, one of the most fascinating of all dances. Tango is a sensual. Tango is a feeling of love and emotion. Are you an Argentine culture lover and willing to acquire or broaden your knowledge of Spanish and Tango? Then our Tango and Spanish Program is perfect for you! 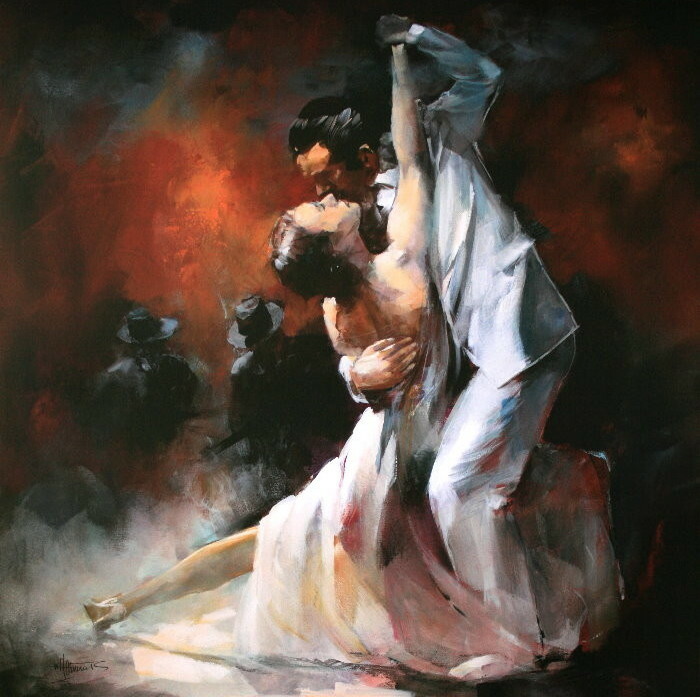 Tango is originated in the 1890s along the River Plate, the natural border between Argentina and Uruguay, and soon spread to the rest of the world. Our spanish program includes individual Spanish lessons* in our school as well as Tango lessons with an experienced and famous instructor in their dance studio. For your intensive Spanish lessons, study material has been carefully selected according to its relation to the Tango culture and its history, so that you can acquire a solid knowledge of the Argentine Tango. Study material can also include Tango song lyrics, articles about tango celebrities, anecdotes, etc. You are free to decide if you want to take 2 or 4 hours per day of Spanish lessons (from 9.30 to 11.30 or 9.30 to 13.30) and also how many Tango lessons you would like to take. Therefore, in one week, you could take 10 Spanish lessons (2 per day) and 5 Tango lesson (one per day) in the evening. Mundo Español, for Tango and Spanish program, can also organize tours to some of the best Milongas (Tango bars) and to other Tango sites the city has to offer. Learning to speak Spanish in the lively and exciting city of Buenos Aires while learning to dance the Argentine Tango in the city it was born will be an unforgettable, cultural and educational experience. *If you come as a group, we will organise several small groups according to the levels of proficiency.